I accidentally discovered that eating humus together with quinoa is actually very nice. I decided to make it into a hand roll today. Quinoa and humus can be prepared in advance and stored in the fridge. 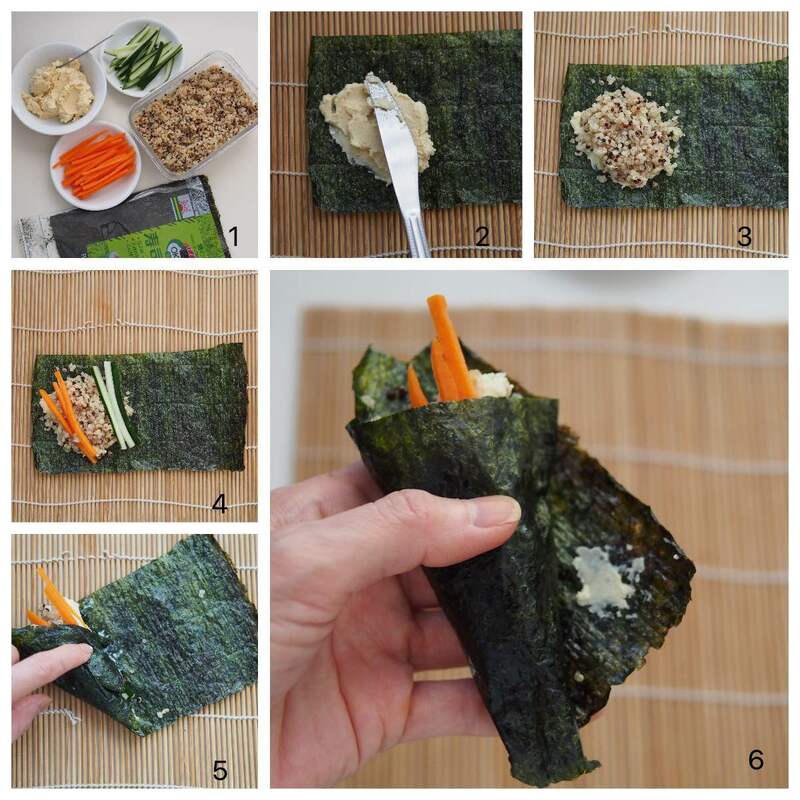 Just cut the vegetables and wrap into a roll to eat whenever you want. It is healthy and easy to prepare. It is also vegetarian too and you can use other fresh vegetables e.g capsicum or sprouts. Place a piece of seaweed sheet on the palm or countertop (make sure your palm or counter top is dry). Spread a layer of humus on left third of seaweed sheet. Sprinkle some sesame seeds if you have. Place a table spoon or more of cooked quinoa on top. Place few strips of cucumber and carrots. 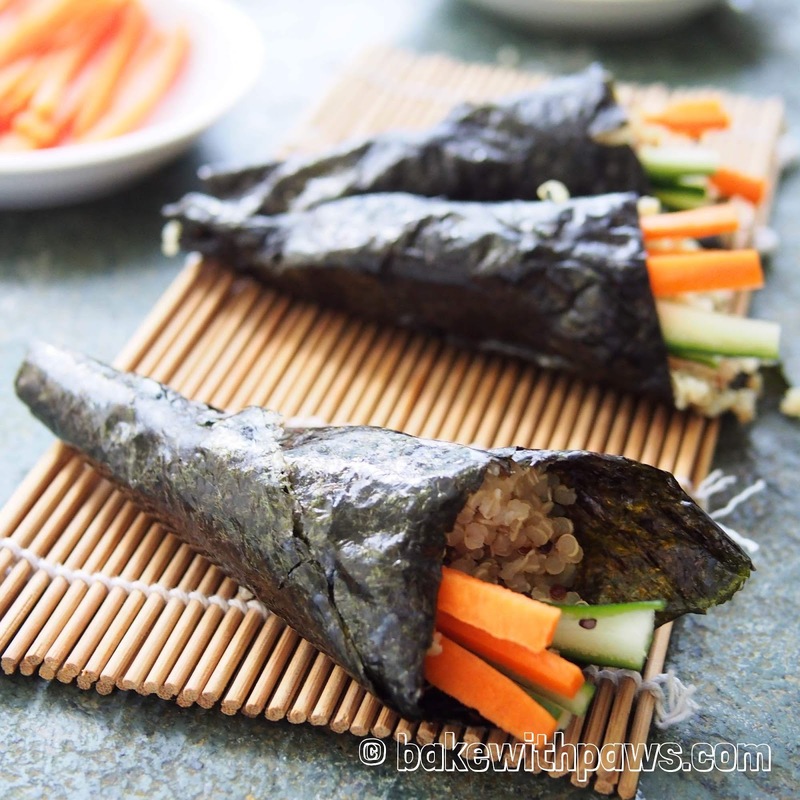 Fold bottom left corner of seaweed sheet over and roll into a cone shape. 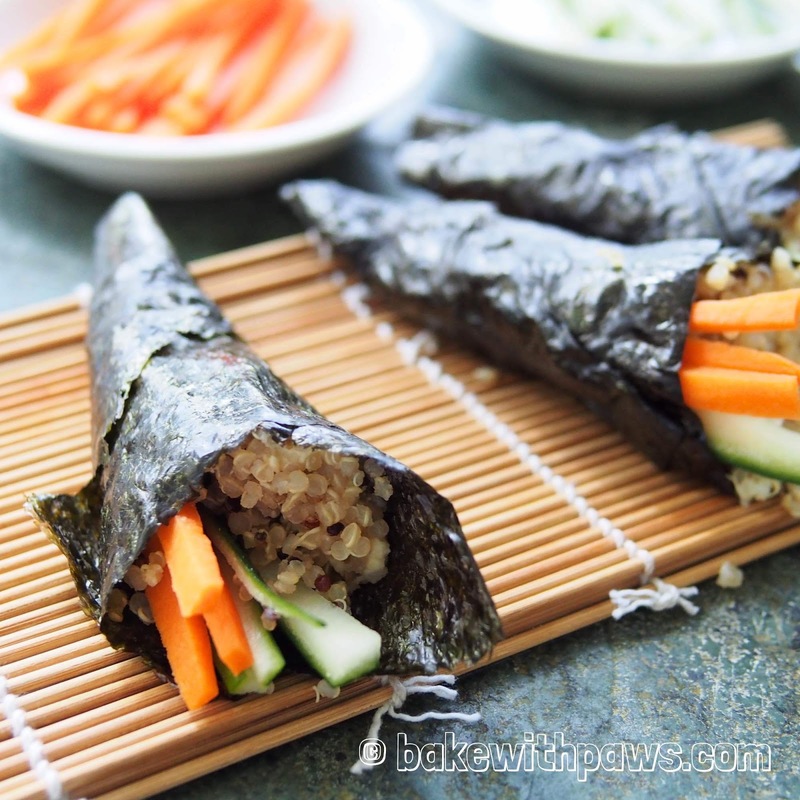 Serve the hand rolls immediately.